The mosquito Aedes aegypti is a spreader of Zika virus. Researchers are working furiously to determine if the Zika virus now spreading in Latin America is responsible for a spike in cases in Guillain-Barre syndrome, a condition that can cause temporary paralysis. But a paper published today in The Lancet argues that a link can already be established. The paper looks at an outbreak of Zika in the islands of French Polynesia in 2013, when two-thirds of the 270,000 population was infected in a period of about six months. Most of them had no symptoms at all. Some experienced mild symptoms — fever, rash, muscle pain, conjunctivitis. But nearly 50 people experienced an unsettling aftermath. A few days after the fever cleared up, they became partially paralyzed. The diagnosis: Guillain-Barre syndrome. "We have evidence that Zika is the cause of Guillain-Barre syndrome in those patients and that was not known before," says Dr. Arnaud Fontanet, a medical epidemiologist at the Pasteur Institute in Paris. He&apos;s an author on the paper. In it, researchers in Paris, Glasgow and Papeete, Tahiti, call for Zika virus to be added to the list of infections that can cause Guillain-Barre syndrome. In a typical year, French Polynesia would see between 3 and 10 cases of Guillain-Barre syndrome (GBS). 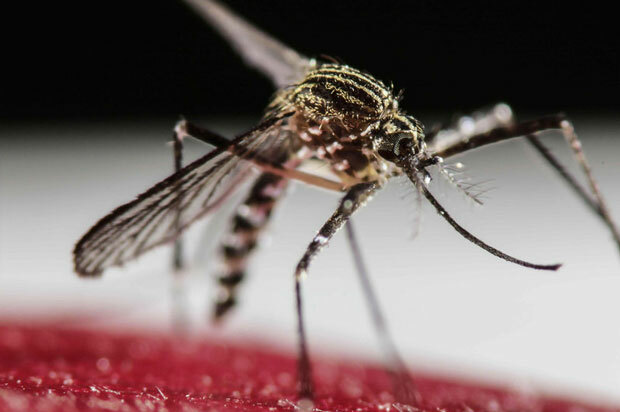 During the Zika outbreak, 42 patients were diagnosed with GBS in the span of four months. Fontanet and his co-authors believe that the Zika virus, like other bacteria and viruses, had prompted the patients&apos; immune systems to attack their own nerves. The patients spent on average one month in the intensive care unit, some connected to ventilators to help them breathe. Luckily, they all lived. And within three months of falling ill, most of the patients were again able to walk on their own. To ferret out the link, Fontanet and his colleagues tested blood samples that clinicians at the Hospital Center of French Polynesia had collected from the 42 patients. They also pulled out about 170 more blood samples, which divided into two control groups: patients who had come to the hospital with Zika symptoms which didn&apos;t develop neurological complications, and people who had come to the hospital who had no signs of Zika. "We compared all three groups — those who had Guillain-Barre syndrome, those who were representative of the general population and those who had Zika infection without neurological complications," says Fontanet. The scientists confirmed that all of the patients with Guillain-Barre syndrome had neutralizing antibodies against the virus and 88 percent had experienced Zika-like symptoms about a week before coming down with GBS. That was significantly higher than in both control groups. The clues are "actually quite strong in telling us that this was Zika virus that caused the Guillain-Barre syndrome in those patients," says Fontanet. There was another question. Had these people contracted Guillain-Barre syndrome because they&apos;d had a combination of dengue and Zika viruses, either simultaneously or one after the other? So Fontanet and his colleagues tested the patients&apos; blood for antibodies against dengue. If dengue was in any way involved in causing Guillain-Barre syndrome, they would expect to find a higher rate of dengue infection in the group with GBS than in the other groups. "We found the same proportion of patients with past infection with dengue in the three groups," he says. So, they conclude, having been infected with dengue in addition to Zika is not likely to have a hand in causing the neurological illness. Based on those findings, the authors conclude that Zika looks very much as if it has a hand in causing Guillain-Barre syndrome in a small fraction of people infected with Zika virus. But there are still fuzzy areas, like how exactly the virus causes Guillain-Barre syndrome. "Is the evidence conclusive? The answer is, it hasn&apos;t reached that stage as yet, but it&apos;s strongly suggestive. I think it&apos;s very likely that [Zika] causes Guillain-Barre syndrome," says Dr. David Smith, a clinical virologist at the University of Western Australia who was not involved with the study. The study is small, he points out, since (thankfully) there weren&apos;t many cases. The current outbreak may solidify the connection. "We don&apos;t know everything we need to know yet to understand exactly why this appears to be happening and whether it&apos;s any worse in the Americas than anywhere else, and if it is worse, why that might be the case," Smith adds. Some unusual hints from French Polynesia could guide such research questions. Fontanet says it usually takes a week or two from the point where someone first experiences tingling and numbness to when they&apos;re in the intensive care unit. With the patients in French Polynesia with Zika, he says, "It was only four days." The speedy onset could indicate that, unlike Guillain-Barre syndrome triggered byCampylobacter or respiratory illnesses, the Zika virus might work more like polio, infecting the nerves themselves rather than inducing the immune system to attack them. On the positive side, Fontanet says, "Once [the patients] went through the acute phase, they recovered faster compared to typical patients with Guillain-Barre syndrome. After three months, 57 percent of them were able to walk without assistance, and that is better than what is usually seen with Guillain-Barre syndrome." Usually, up to 20 percent of patients remain severely disabled and about 5 percent die. The patients in French Polynesia all survived. If Fontanet&apos;s assertion proves to be true, it&apos;s unclear how frequently Zika virus might cause GBS in an infected population. But it&apos;s rare. "The experience in French Polynesia suggests that the risk of getting Guillain-Barre syndrome following Zika infection is about one in 4,000," says Hugh Willison, a clinical neurologist at the University of Glasgow, who sees area patients all the time and was also involved in the research. That&apos;s comparable to the risk from other viruses and bacteria that can trigger the condition. The looming question, he says, is what might cause such a nasty turn from what is usually an innocuous infection. "For the vast majority of people who develop Zika virus infection, Guillain-Barre syndrome isn&apos;t something they need to be concerned about because the risk of it developing is small," says Willison. "However, if you have a million people infected with Zika, you&apos;re going to see a lot of cases of Guillain-Barre syndrome." Guillain-Barre patients often need intensive medical care for extended hospital stays. At the peak of a large outbreak of Zika, they could overwhelm hospitals. "I think it&apos;s important for the countries where the epidemic is now active to secure intensive care beds for managing all the patients who have Guillain-Barre syndrome," says Fontanet, "because at a certain time close to the peak of the epidemic, they may be saturated."